Kalamazoo, MI — As part of his ever-mystifying journey as a writer, Andy Mozina cleaned out his home office in preparation for new work. 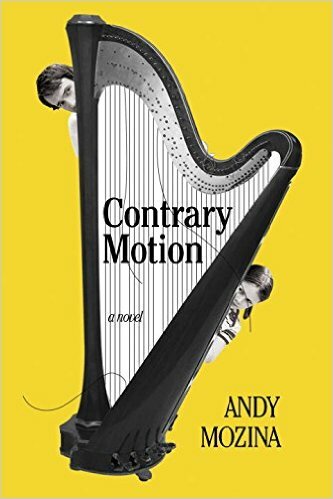 Since returning galleys a year ago for his first novel, Contrary Motion, Mozina has injured himself in an ill-fated ATV celebration, promoted his novel on radio and TV, performed several public readings, compulsively checked the novel’s sales rank on Amazon, and hovered over his email waiting for prizes and invitations. Now, he says, he’s ready to write something again, and to prove it he’s been spending several days cleaning his office. Mozina spoke with this reporter while taking a break from disposal duty. He sat on his front porch knitting a cape for his newborn niece with teal and magenta yarn. Visible through the dumpster’s open gate were several badly charred stuffed animals, a metal sculpture in the shape of the anarchy symbol, a rolling rack of terry cloth bathrobes in primary colors, hundreds of empty hand sanitizer dispensers, and a badly defaced life-size wooden statue of a man Mozina cryptically said “could be the devil”—among other items. What’s next for the mid-list iconoclast? Mozina smiled to himself. “The creative juices are already flowing,” he said, lifting the incipient cape for inspection.